This modern home was designed by internationally recognized architect Phil Kean. It was built in Jacksonville, Florida by a PK Elite Builder affiliate. This beautifully designed home has 3 bedrooms, 4 bathrooms, features indoor/outdoor living space, an open floor plan, an elevator and lap pool. 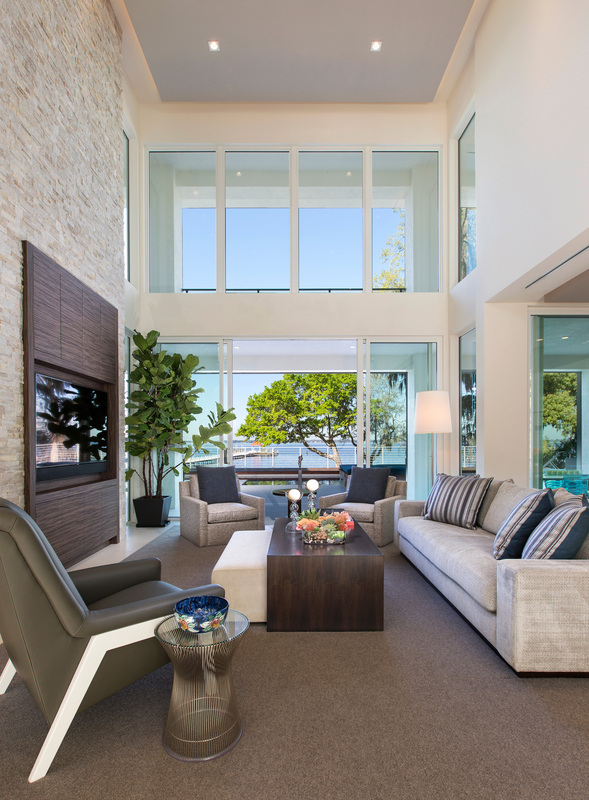 The living area is 4,219 sq ft with an additional 2,021 sq. ft of covered outdoor living space.